The baseball diamond isn’t the only field for all-star player Alex Tavonesi; he also runs his family’s prestigious vineyard. What he can’t seem to run is his love life. He’s closing in on the perfect vintage and the perfect game, but so far the perfect woman has eluded him. A chance meeting in a midnight storm brings Alex and Jackie together to rescue a stranded whale. Watching her work, he realizes she’s the passionate, courageous woman he thought he’d never find–he just has to overcome her deep distrust of jocks. Jackie’s passion and courage lead her to discover what’s killing the sea mammals. The culprits want to silence her, and Alex is the only one standing in their way. What will he sacrifice to save the woman he loves? Rad-Reader: What made you revolve it so much around the whole marine experience? Pamela: For most of my adult life, I have worked to improve the lives of marine animals—one way or another. What many people are not yet aware of is that marine mammal, whales, seals, sea otters and the like are, like the canary in coal mine for us; they are sentinels of ocean health. If marine mammals are well, we do well. Having worked closely with marine mammal veterinarians and international policy people, this story bit me and wouldn't let go! Rad-Reader: Were you afraid that there was going to be too much technical marine biology lingo to turn off your readers? Pamela: People love windows into new worlds! Readers have told me how much they loved peeking into the behind-the-scenes of an ocean animal rescue and rehab center in Love Bats Last. They had no idea how dangerous such work is, how physical—and how rewarding. Rad-Reader: How did you decide to incorporate the angles of baseball, marine biology, and the vineyards? That seems like a wide stretch? Pamela: Jackie, the marine mammal veterinarian, and Alex, the vineyard owner had been lurking in my story land for some time. It wasn't until Alex wrapped his baseball team around him and became a man fighting to win a title of extreme excellence in the game that the story 'clicked'. Lots of All-Star, top-of-their-game athletes have lives outside of baseball. These are men who have an appetite for life, dreams and the dedication to make them into realities. The women in my stories have careers in fields often dominated by men. I love that readers enjoy seeing them excel and overcome challenges and see to their dreams. Rad-Reader: I won’t lie the tech marine stuff started to get to me but just when it did you brought Gage in to save the day to say just what I needed to save the moment. How did you come up with Gage? Is he like anyone you know? Pamela: Everybody loves Gage. Loves. Him. He's one of those characters that you hear authors talk about who shows up and almost walk away with the story. Regarding the question: Is he like anyone I know...as with any author's writing, we are 'a part of all that we have met' as the saying goes. There are elements of Gage that I've experienced in real life. One of my NPR radio show partners played for an embassy hockey team, for example. Gage's hockey life is key to who he is. He loves sports, loves excellence, and Alex Tavonesi, the hero of Love Bats Last, is both. He and Gage will be friends for life. Rad-Reader: Jackie’s fashion sense made me laugh then you had her up against Sabrina and then the bimbo Sabrina made Alex bring to the seal release. Yet, given no real indication of how he saw her that night in her makeover. Just how she looked with the lighting behind her and her wrap. Why was that? Or how different she looked? Pamela: I wanted readers to be able to imagine the depth of his feelings. How she looked to him (stunning) wasn't as overpowering as the feelings he's recognizing he has for her. Love is a powerful force and he's just starting to realize that he loves her. His focus is not on what she's wearing, but the lines of weariness in her face— he's looking at her as a being, not as a person in a lovely dress. Oh— if I say too much more about that scene it'll be a spoiler! Rad-Reader: Why did she not just ask Alex those questions that she need about the vineyards? She just kept running on assumptions? Not what a scientist does. Why now? Pamela: Because she is a scientist, she wants to have her facts lined up. She doesn't want to appear accusatory and she also wants to catch the people behind the chemical dumping—it's almost as though her espionage instincts and drive for justice trump her data-gathering self. And definitely trump her common-sense self. And something in the way Alex probes about the seal deaths begins to make her suspicious. But her feelings for him make her push her suspicions down, almost unwittingly. The power of attraction can make us do things we can't quite imagine! And there is a point at which she wished she had asked. It's cognitive avoidance—she doesn't want to believe he's involved. Rad-Reader: I wish we would have had Cory and Sabrina at least date or Sabrina and Scotty. Why did we not see that? Will we see that? Pamela: Scotty's story is next, Thrown By Love. I love Sabrina and I'm so happy people love her and love Cory and Scotty as well. Their stories are fascinating—and on deck! Sabrina's story is Book#5 of this series. Stay tuned for more of the Tavonesi Chronicles and the team! Jackie: Tough question. Emily Blunt could carry off playing Jackie, she has the spine and the deeper sensitivity. Rachael Weisz comes to mind as does Amelia Warner. Alex: Kit Harington, Henry Cavill, maybe Hunter Parrish (without the accents, of course!). I'd love to know who readers think would be good for the role of Alex! Gage: Joseph Morgan. What do you think? Rad-Reader: Hands down for Alex it should be Henry Cavill And for Jackie, I think Rachael Weisz and Joseph is perfect. Rad-Reader: Where can our readers find you? Thanks so much for being with us today!!! 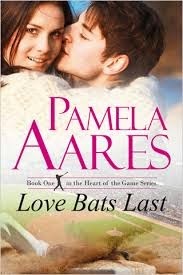 Pamela Aares is the award-winning author of Love Bats Last, Book #1. 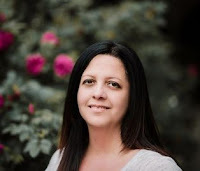 The Heart of the Game, is a sensual and action-packed contemporary romance series about intriguing, powerful alpha-males and the exciting and strong women who love them. Her historical romance debut, Jane Austen and the Archangel, explores the power of love to overcome fear. Before becoming a romance author, Pamela produced and wrote award-winning films and radio shows. 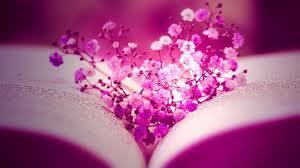 She learned that romance lives at the heart of the universe and the power of the greatest stories of all. 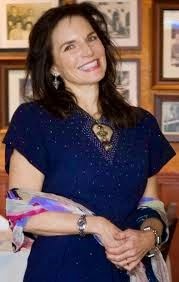 Pamela holds a Master’s degree from Harvard and lives in the wine country of California with her husband and two curious cats.